There’s been plenty of speculation over the future of Willian at Chelsea in recent weeks, but in his pre-Community Shield press conference, the fears of many fans were assuaged. Maurizio Sarri, speaking in English for the entire thing, spoke confidently on Willian, and as you can see in the Tweet embedded below, he was confident that the Brazilian is going nowhere this summer. 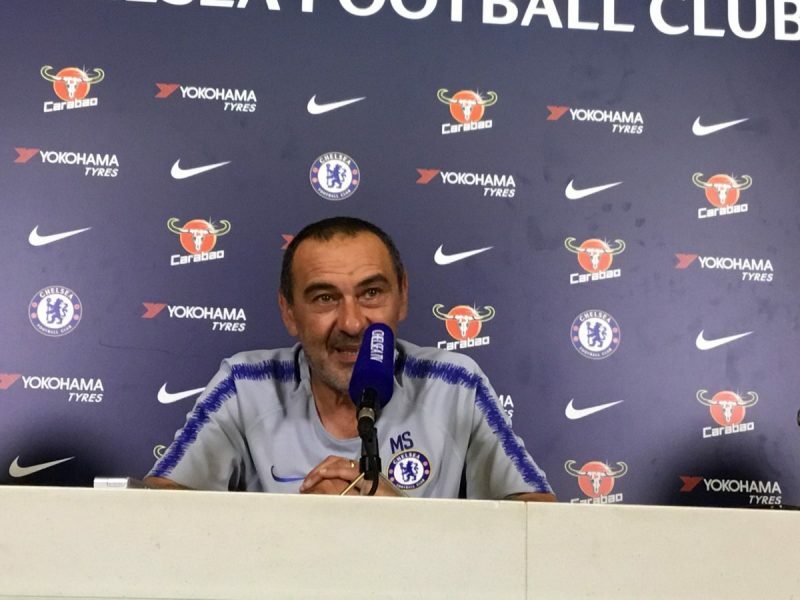 The winger was late, and Sarri was clearly not happy – but that was the extent of the discussion according to the new boss. Those offers reported from Barcelona clearly weren’t enough to persuade the hierarchy to get rid. Of course many Blues fans don’t like Willian, and plenty more who do think that the sums being offered by Barcelona were more than big enough to warrant being accepted. Still, it looks like he’s going nowhere, so it’s time to such it up and accept that he’s here to stay – for one more season at least.